Note: The Laser Egg 2 is only for sale within Mainland China. We cannot ship the Laser Egg overseas. 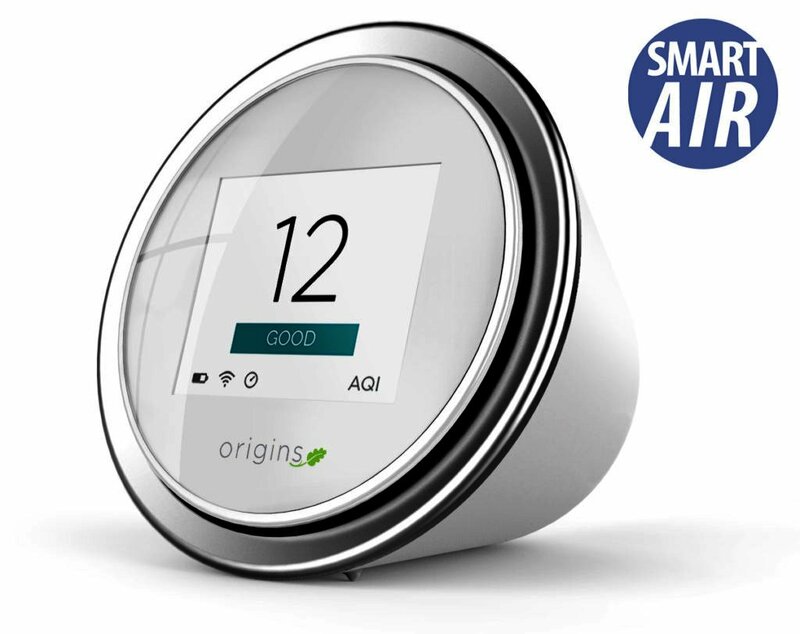 Meet the world’s most popular smart air quality monitor. The Laser Egg tells you instantly and accurately what is in the air you’re breathing, so that you know whether or not you efforts to keep your environment clean and healthy are working. The Laser Egg provides air quality readings in real-time; measurements are taken every 0.1 seconds and displayed on the LCD screen. Air quality can be displayed as PM2.5 concentration, AQI (US EPA & Chinese standards), and particle count. An embedded Lithium ion battery means that you can take the Laser Egg around with you, wherever you go. The battery lasts for approximately 8 hours on a full charge. Or you can leave it at home, plugged in and recording data, 24/7. The Laser Egg has a small fan that pulls ambient air in through the back of the unit and pushes it out the front. In the middle, a laser beam cuts across this air current. As particles pass through the laser beam, the beam’s light is refracted. A sensor picks up the subtle changes, and information about the size and number of particles passing through is determined through a series of algorithms. 1. Measures & displays Air Quality Index (AQI) using both US EPA & Chinese Conversions. 4. Accelerometer changes between constant monitoring and timed monitoring when user touches the laser Egg. 5. Wi-Fi chip provides internet connection; all data recorded while connected to internet is stored in cloud based database. 6. Accompanying iOS & android app “Breathing Space” displays data recorded by laser egg and allows access to advanced features such as laser Egg’s calibration and exportation data.